NorCal CarciNET will be in Vienna and will post updates on these important developments as well as other topics of interest for those living with NETS. On August 3, 2015 Lexicon Pharmaceuticals, Inc. announcedthat the pivotal TELESTAR Phase 3 clinical trial met its primary endpoint, showing the benefit of oral telotristat etiprate in treating cancer patients with carcinoid syndrome that is not adequately controlled by the current standard of care. Telotristat etiprate was discovered using Lexicon’s gene science, based on Nobel Prize-winning technology, and is the company’s first discovery to complete a pivotal Phase 3 clinical trial. If approved, telotristat etiprate would be the first oral treatment successfully developed for carcinoid syndrome and the first addition to the standard of care in more than 16 years. Thanks to grants from Caring for Carcinoid Foundation and Carcinoid Cancer Foundation, the Saturday sessions (March 14) at the 3rd Theranostics Congress will be free of charge for patients. To learn more about the conference visit the conference website. Funding was provided by NorCal CarciNET Community for recording the entire 3rd Theranostics World Congress. To see the entire patient program click here. 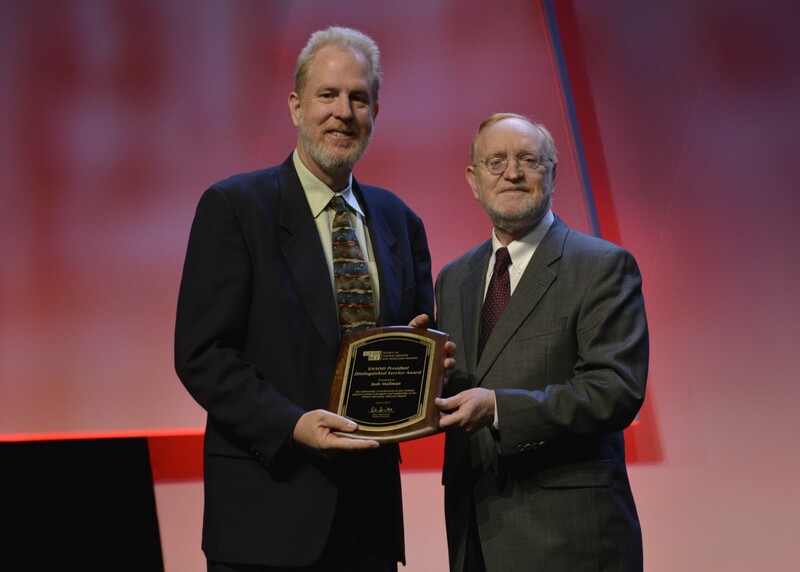 On June 8, 2015, Josh Mailman, patient advocate, and president of the NorCal CarciNET Community, was honored with the 2015 Society of Nuclear Medicine and Molecular Imaging (SNMMI) Presidential Distinguished Service Award. The award reads, "For substantial contributions to the SNMMI patient outreach program and leadership of the Patient Advocacy Advisory Board (PAAB)." As many of you know ASCO GI will be coming to San Francisco next week. NorCal CarciNet Community and the Neuroendocrine Carcinoid Cancer Awareness Network will be on hand as exhibitors at the conference. Before his flight back home to Nashville, Dr. Liu will be joining us on Saturday, January 17, 2015 from 9 am to noon at the Peninsula Jewish Community Center in Foster City for a breakfast conversation on NETs. Dr. Liu will bring us up to date on the latest in NETs from the ASCO GI conference as well as the latest news from the Healing NET Foundation. Please note we may have a few additional special out of town guests that will join the conversation as well. This meeting will take place at the PJCC at 800 Foster City Blvd in Foster City. There is no cost to attend this meeting and it is open to all - however we are requiring registration so that we can set up the room and provide breakfast to those in attendance. Please click here to register.